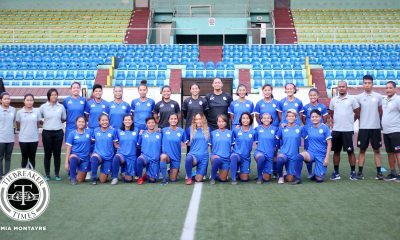 The Philippine Women’s National Football Team will be kicking off their campaign to qualify for the AFC Women’s Asian Cup final round in a few hours. Placed in a what can be considered an easy bracket on paper, by virtue of being the second top-seeded team out of six at the time of the draw, the Philippines has a legitimate shot at moving on to the final round—a feat that has never been accomplished before. With the release of the women’s world rankings only last week, the update has in fact made the Philippines (No. 68) the top-seeded team in the group with Jordan — then the top seed during the time of the draw — sliding out of the rankings due to prolonged inactivity. But Jordan need not worry as they have automatically qualified for the final round as tournament hosts. After the Philippines, it is Bahrain (No. 73) and the United Arab Emirates (No. 78) that pose a threat based on ranking points, which also imply that the teams have been keeping themselves busy with friendly games against other international squads. Both teams play the Philippines in crucial night games, which could be significantly dictated by the harsh weather conditions of the Tajikistani mountainous region where the group’s games will be held. Temperatures are expected to reach as low as 2 degrees. Iraq and the hosts Tajikistan are not only unranked teams, but are also newly assembled squads. Iraq are eager to prove themselves worthy of the continental stage, while Tajikistan should have a slight edge on home field advantage. The best team after five games — apart from Jordan — will be advancing to the final round, along with the winners from the other three groups. 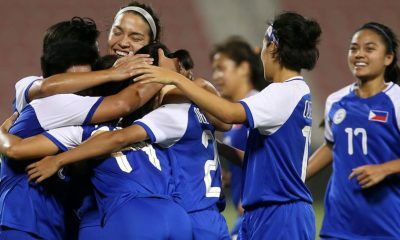 They will join the elite ranks of Japan, Australia, and China next summer in what also doubles as qualifiers for the FIFA Women’s World Cup in France 2019. Tasked to take the country to heights it has never reached before in the sport are nineteen individuals deemed the best out of a month-long set of trials and training camps. 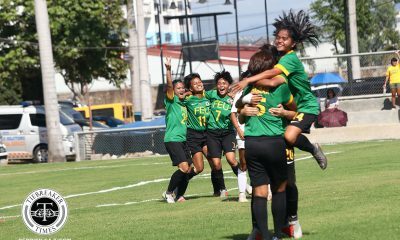 Tending the goal are De La Salle University’s Inna Palacios and Far Eastern University’s Hazel Romina Arce. Palacios is a long-standing veteran and is still considered the captain of the team since being named in 2015. She has seen international action as far back as the last round of the AFC Women’s Asian Cup Qualifiers in 2013. Arce is a new addition to the national side who was also a part of the team pool last year. The backline looks to be robust, mostly thanks to the lanky veterans based overseas: University of California Santa Cruz’s Claire Lim, University of Arkansas at Little Rock’s Hali Long, and Florida International University’s Patricia Tomanon. Lim has been donning the country’s colors since 2013, while Long and Tomanon are back to serve the country for the second year in a row. Also on defense is OutKast FC’s Alesa Dai Dolino, a constant fixture in the team since her impressive debut in 2015. DLSU’s Mary Cristine Duran made her debut last year and is also back on the squad for this campaign. Rounding out the rest of the defenders are newcomers Joanna Almeda of De La Salle-Zobel High School and Green Archers United FC, and Zhyrelle Lou Belluga of FEU. Central midfield will be mainly controlled by three-time veterans Sara Castañeda of DLSU and Hanna Parado of University of North Florida, along with the team’s most seasoned veteran in Patrice Impelido of Hiraya FC, who has been lending her services for national duty since 2005. DLSU’s Irish Navaja — who also featured on last year’s team — will help out in the wings alongside newcomers Jovelle Sudaria (FEU), Aira Agustin (University of the Philippines), Nina Arrieta (La Salle) and Anicka Castañeda (La Salle-Zobel/GAU FC). 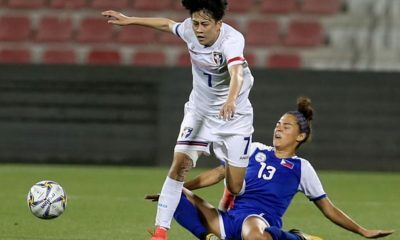 Sudaria, along with her FEU teammates, has had international experience when their school team participated in an invitational tournament in Vietnam after winning the PFF Women’s Cup in 2015. 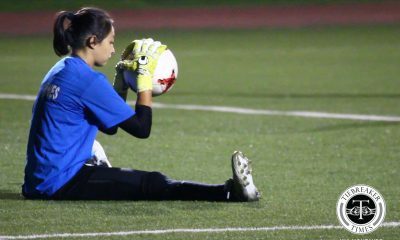 The talented Castañeda sisters also do not often play on the same team together, so alongside cousin Arrieta, this year will be a first for them. Arrieta is also a late addition to the team after a brief confusion on the team’s final selection. In attack are Moorpark College California’s Eva Madarang and DLS-Z HS/GAU FC’s Alisha Del Campo. Madarang, who is an adept midfielder, has been converted to striker, while Del Campo’s recent impressive scoring tally from the paused PFF Women’s League makes her a lethal option. 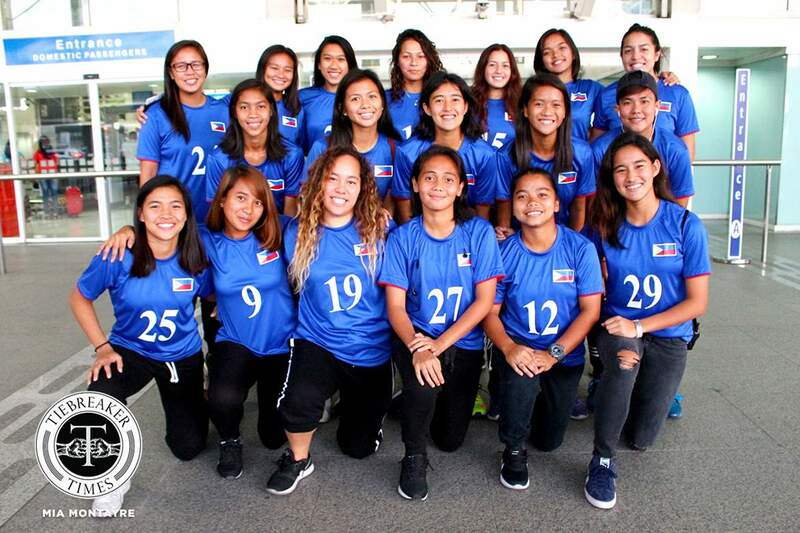 Buda Bautista, on her third tenure as head coach of the senior Philippine women’s team, is again in charge of devising plans to make full use of the team’s advantages. Alfredo Rey Estacion and Josephine Loren will help facilitate on tactics, while Merlie Acibar and goalkeeping specialist Jimmy Dizon will help assist with training. Completing the staff are Isabel Sison the physiotherapist and Maria Lalaine Sarmiento, the team manager and head of delegation.